Last fall, a female gray wolf named Echo wandered into the Grand Canyon in Arizona, becoming the first gray wolf there in 70 years. In late December, she was shot by a hunter in Utah. The sad news was announced this week by the U.S. Fish and Wildlife Service, which conducted DNA tests to confirm that she was the same 3-year-old wolf, the AP reports. The news is devastating for conservationists, who had been following her progress carefully after she was spotted on the canyon's northern rim. Echo's name was chosen by a 10-year-old boy from Oregon, after a contest sponsored by conservation groups drew more than 500 entries. He said he chose the name "because she came back to the Grand Canyon like an Echo does." 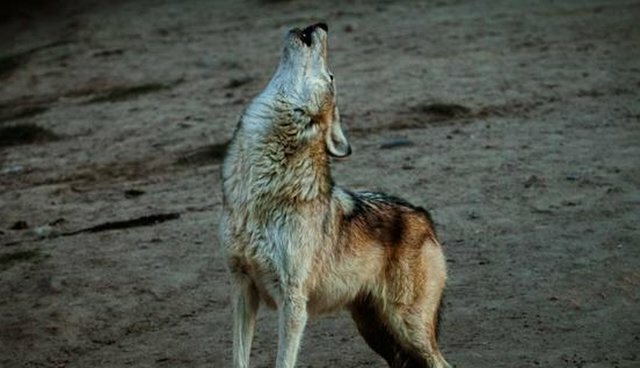 While wolves are protected under the Endangered Species Act in Utah, the man who shot Echo said he mistook her for a coyote, which are legal to shoot. The hunter's name has not been released. Conservationists say Echo had wandered hundreds of miles. "It's tragic that Echo traveled over 500 miles only to be cut down by an incredibly irresponsible coyote hunter," Bethany Cotton, wildlife program director for the conservation group WildEarth Guardians, told the AP. Last seen in the Grand Canyon area in the 1940s, gray wolves can roam over thousands of miles and were once abundant across the country. Over the past year, wolves have been stripped of protections in the Northern Rockies and western Great Lakes. Ranchers and farmers argue that wolves prey on their cattle and sheep, and urge more hunts to control wolf populations. But a recent study published in the journal PLOS ONE found that culling wolves doesn't work in the real world: For each wolf shot, it's more likely that another wolf will prey on nearby farm animals.